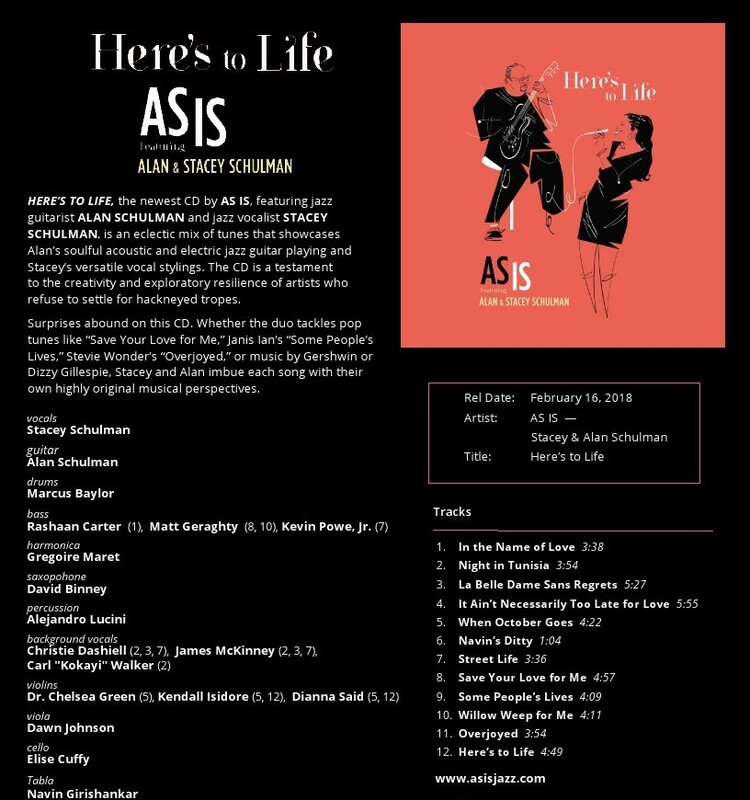 HERE’STOLIFE is the newest CD by AS IS,featuring jazz guitarist ALAN SCHULMAN and jazz vocalist STACEY SCHULMAN. 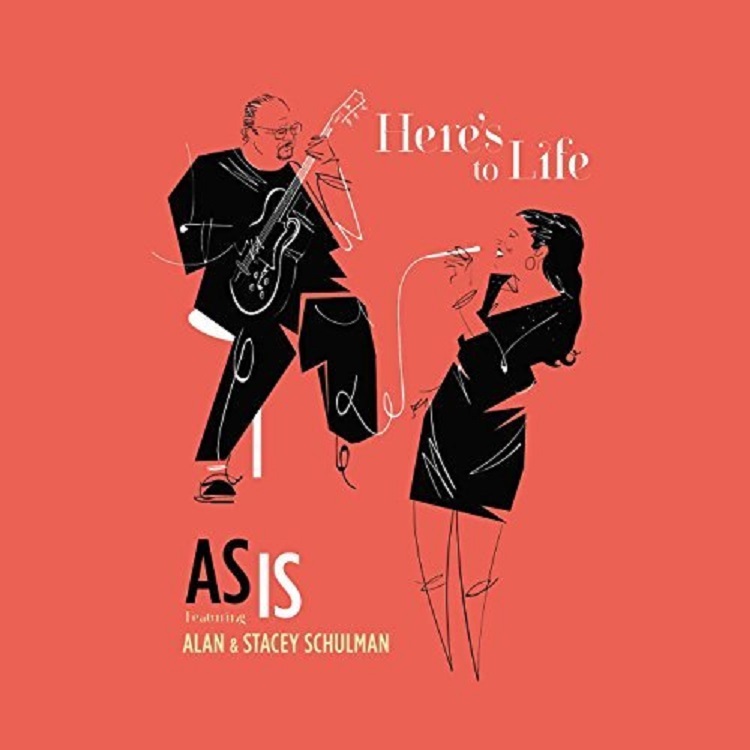 The CD is an eclectic mix of tunes thats howcases Stacey’s versatile vocal stylings and Alan’s soulful acoustic and electric jazz guitar playing. Their debut CD, A Love Like Ours,was a duo project that hit#1 on the Amazon jazz vocal charts in its firs tweek of distribution. This time around, they have partnered with some of the top talent in the New York area, including such Grammy bona fides as producer JAMESMcKINNEY, recording & mixing engineer SCOTT JACOBY, mastering engineer EMILYLAZAR,and drummer MARCUSBAYLOR, who spent many years performing with theYellowjackets and whose latest release as a leader, TheBaylor Project, received a 2018 Grammy nomination for Best Jazz Vocal Album and Best Traditional R&B Performance. Indeed, there are many twists and turns and unpredictable moments throughout this CD, as exemplified by their take on “A Night in Tunisia. ”They expand the thematic desert concept of the tune and create an exotic effect by opening with Duke Ellington’s “Caravan” and adding Brazilian rhythms performed by master percussionist ALEJANDRO LUCINI, as well as a vocalese choir sung by Stacey along with CHRISTIE DASHIELL, CARL "KOKAYI" WALKER, and JAMES MCKINNEY. Whether the duo tackles pop tunes like “Save Your Love for Me,” Janis Ian’s “Some People’s Lives,” Stevie Wonder’s “Overjoyed,” or music by Gershwin or Dizzy Gillespie, Stacey and Alan Schulman imbue each song with their own highly original musical perspectives. Stacey is a native New Yorker who has been singing professionally since she was nine. She has been an NYC studio session singer for decades and can be heard on radio commercials, television series and movie soundtracks. Alan is a native of Cincinnati, Ohio, who studied with Benny Goodman’s guitarist, Cal Collins. He honed his bebop chops in Chicago with guitarist and educator David Bloom. He has appeared as a sideman with such noted jazz artists as Anita Baker, Wynton Marsalis, Herbie Hancock and Michael Feinstein. Alan holds an M.A. in Jazz Arranging & Composition from Howard University in Washington, DC, where he studied with the late jazz legends, drummer Grady Tate and pianist Geri Allen. 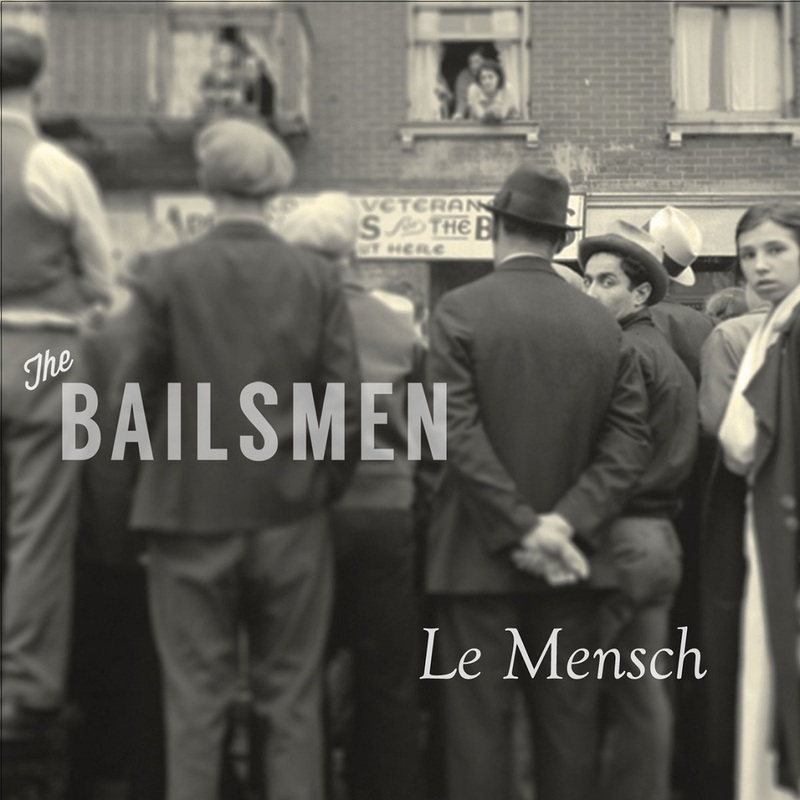 Le Mensch was conceived of while the band was living in New Orleans. Recorded over three days in Brooklyn, NY, the band showcases fourteen tracks of original material, unearthed classics, and swinging hits. This is the third record from The Bailsmen. 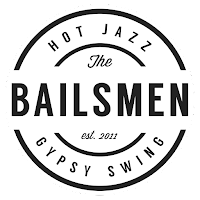 The Bailsmen will be traveling throughout the Southeast United States, making stops in Florida (Panama City, Gainesville, and Jacksonville), New Orleans, Georgia (2 nights in Savannah), and then off for dates in Charleston and Asheville, South Carolina. The final date are set for Boone, North Carolina and Floyd, Virginia. Check their website to find all of the information about their upcoming tour and receive updates for when they will be in your area!. “So beautiful, it brought tears to the eyes” ran the headline of a live review of Klaus Paier and Asja Valcic in Munich’s respected Süddeutsche Zeitung. And London’s The Observer remarked, “their pieces evolve with such vigour and clarity... the music sounds like the product of one mind rather than two... its charm is all its own”. 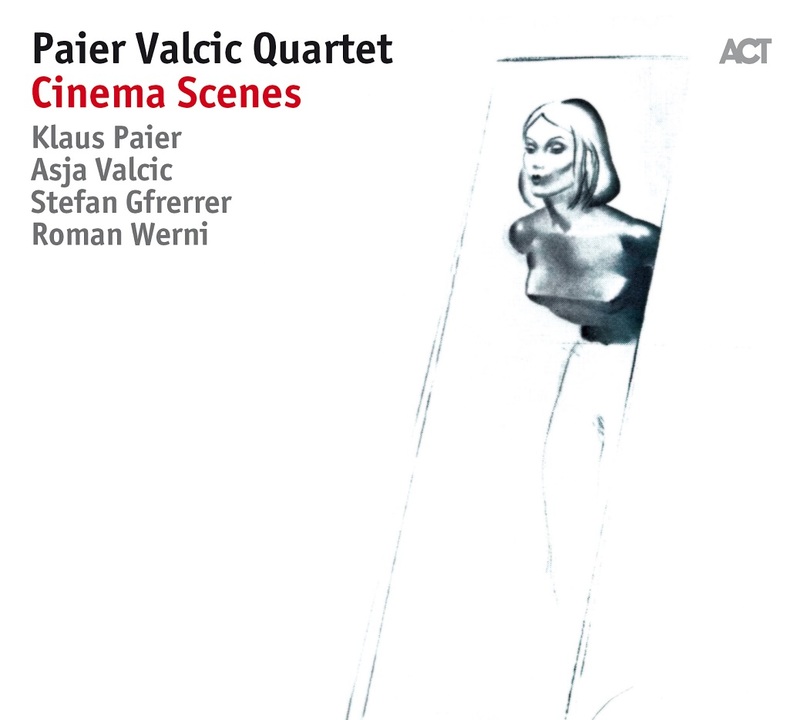 Paier and Valcic’s music is always sensual and rich in images, and this opulence of colours and pictures is also at the heart of what “Cinema Scenes” is about: they let their impressions of films flow freely as music, but above all the two musicians give expression to their own visual ideas. This music seems to be just asking to be seen on a bigger canvas, and therefore the duo is augmented. In the quartet format one senses an extra groundedness, but presence of the other voices also brings a fascinating potential for new departures. Just as films in their unique way are wont to do “Cinema Scenes” does also take us on a journey. It might be just the shortest of trips out into the garden: in “Le Jardin” an irresistible melody sets us dreaming. Or the destination might be out in the wider world: “Safran” has a powerful oriental aura. Or it could be a short roam with dramatic interruptions, such as “Inspired Tale”. Just as in a movie, a broad palette of feelings and thoughts is evoked in this album. “Griet’s Theme” from the movie “The Girl With The Pearl Ear-Ring” brings a combination of confusion, disquiet, and bittersweet sadness – all at ferocious speed. The title track is in four parts, starting with an arrangement of “Doe Eyes”, which was written for “The Bridges of Madison County”, and then driven forward by Paier’s own ideas. It combines everything from nostalgic longing and awestruck silence, to angry protest and the joy of triumph. 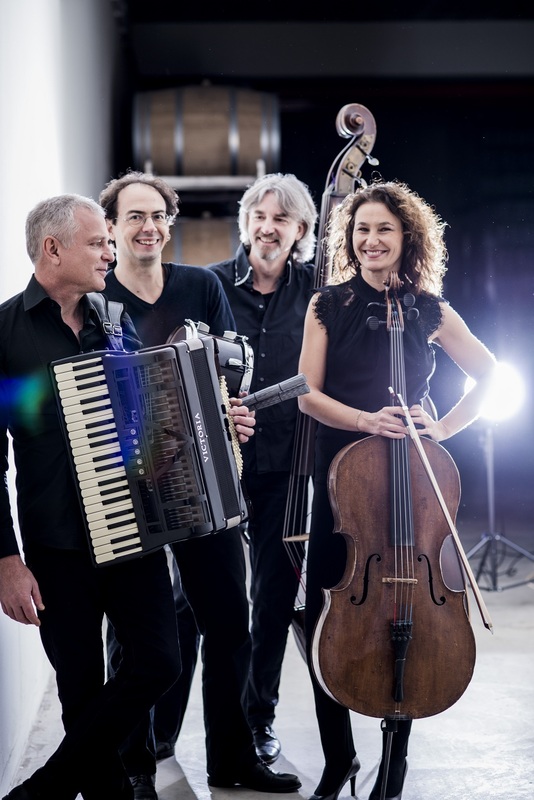 Everything is dramatized superbly by the four musicians, whether they are doing virtuosic expositions of melodies, incorporating propulsive latin rhythms (in “Hesitation”) or even a full-on jazz hoe-down (in “Griet’s Theme”). There is an overarching dramatic pattern to this album, but each of the individual pieces also leaves its mark, carrying its own tension and excitement – and the thematic connection to the cinema. That is particularly true of Asja Valcic’s nervy, wildly stop-go piece “Rush” which is full of unexpected escapades, and also of the last piece on the album, “Ricochet”. If the idea of a detective story somehow lands in the listener’s mind, then he or she should hold that thought, because an action plot really does develop in this piece, from its sultry and still beginning as if sweltering under a midday sun, to a speeding-up of the action and right on through to a happy ending. Not just this piece, the whole of “Cinema Scenes” has a special way of hitting the mark, of showing us the movies at their absolute best. 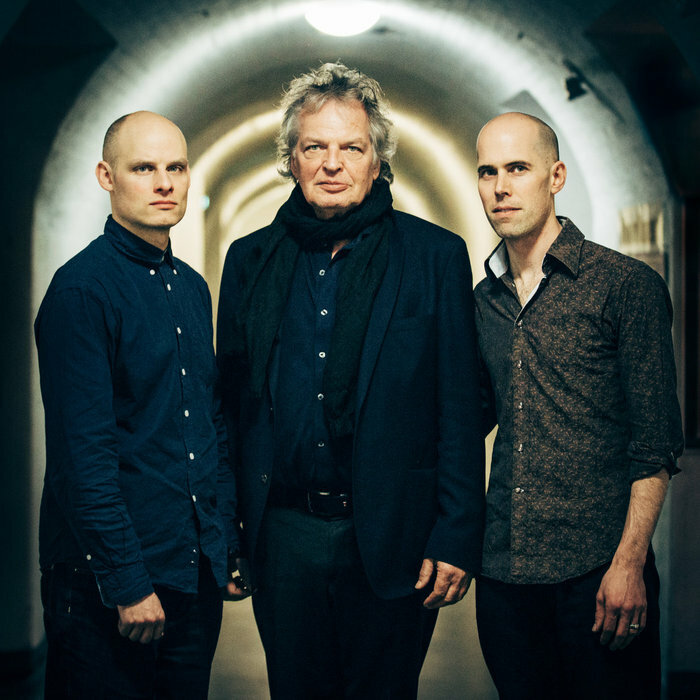 “The wisdom of old age meets the tempestuousness of youth” wrote Der Spiegel, describing the meeting of generations in Joachim Kühn’s trio with Chris Jennings and Eric Schaefer - both are around 30 years younger than he is. And it is also an apt way to describe how both tendencies co-exist in the 73-year old jazz pioneer’s own playing. His gaze is directed to the future, he has the history of jazz behind him, and he never kow-tows to convention. This piano genius loves freedom and fantasy, driven by the imperative to keep discovering the new. 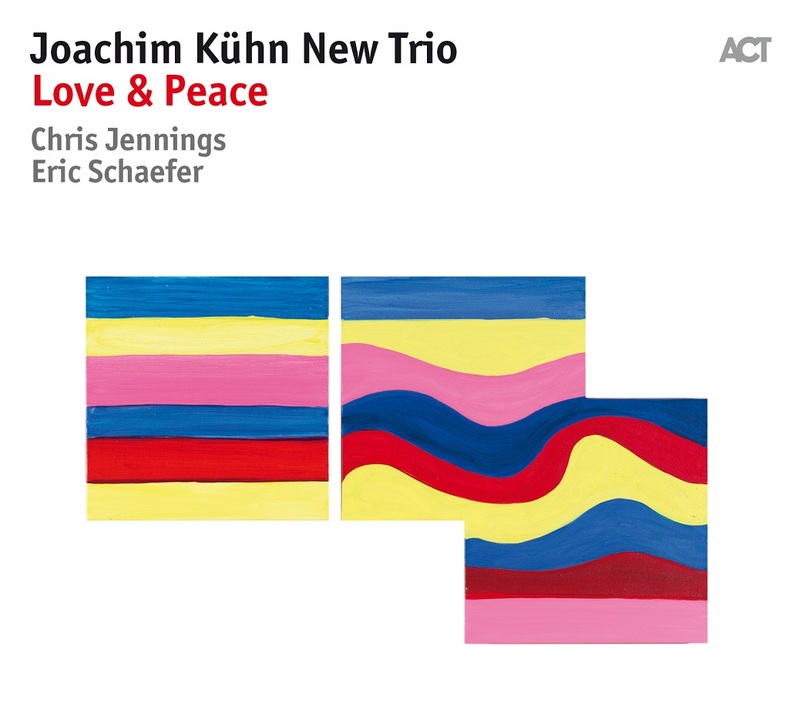 If the Joachim Kühn New Trio is his most recent adventure story, then “Love & Peace” is its second chapter. “I have found a new dream team, and they inspire me in a completely new way,” he says of this ensemble which formed in 2015. It signalled his return to the classic piano trio, in the wake of a thirty year association with Jean-Francois Jenny-Clark and Daniel Humair. “A new trio, a new Joachim Kühn” was how NDR praised the group’s debut CD “Beauty & Truth” which appeared in March 2016. Jazzthing magazine considered that the “most consistently innovative and the free-est piano player in Germany”, had “added another exciting, and above all unexpected chapter to his biography and his discography.” And to cap it all, the Joachim Kühn New Trio was awarded the best German Ensemble prize at the 2017 ECHO Jazz Awards. “At my age,” says Kühn, “you have to do more playing than you used to, to make sure you don’t get rusty.” That is a testament to the sheer determination which has made him the most significant and internationally successful pianist of his generation in Germany. 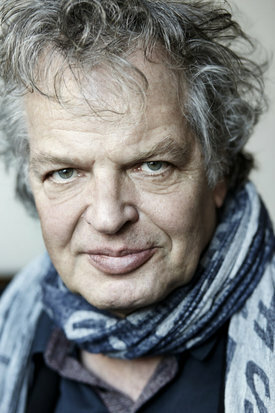 On “Love & Peace” he is on top form: once again it's about “strong melodies that you can give a shape to,” as Kühn puts it. He’s a master of both free jazz and fusion but with a new game-changing approach: “I wanted melodic simplicity, an album with short concise pieces”. It is almost inevitable that the songs should deal with two things that the world simply, urgently needs more of: love and peace. “I didn’t choose this repertoire in a hurry, but rather in a very considered way. But I also I did let chance play its role.” That's how the short, almost ebullient melody of “Barcelona - Wien” came into being during a flight between those two cities. The image of agile horses was one which spontaneously occurred to him in the skittish, yet elegant theme of “Mustang”. With “The Crystal Ship”, Kühn has again taken a track by the Doors, the band which more than any other is synonymous with his generation of 1968, and the peace movement in an era overshadowed by the Vietnam War. Classical music is also represented, with a luxuriant and grooving version of Modest Mussorgski's “Le Vieux Chateau” from “Pictures from an Exhibition”. A piece (“Night Plans”) from his unique and formative collaboration with Ornette Coleman undergoes an almost tender, new reappraisal by the trio, as does the turbulent Kühn classic “Phrasen”. “Only if you live freely can you really improvise freely,” says Kühn. For several years he has been putting everything in place to ensure his own personal and creative freedom at his finca on Ibiza . With “Love & Peace” his New Trio has once again succeeded in breaking into new territory. Joachim Kühn’s potent creative will, unbridled love for music and inner peace reside at the heart of this album. 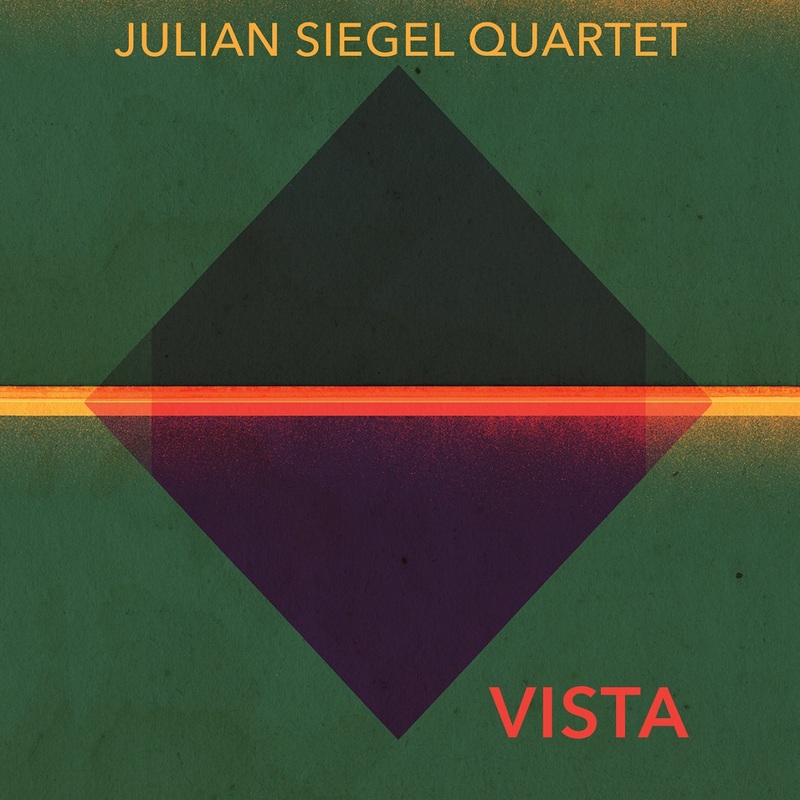 Some nine years since saxophonist Julian Siegel began collectively bouncing ideas off pianist Liam Noble, double bassist Oli Hayhurst and drummer Gene Calderazzo, the Julian Siegel Quartet release another absorbing and intrinsically crackling set of mostly original compositions in Vista. 2011’s Urban Theme Park created quite a splash with its ability to showcase both communal and individual musicality – and now that connection, knowledge and intuition is even stronger. 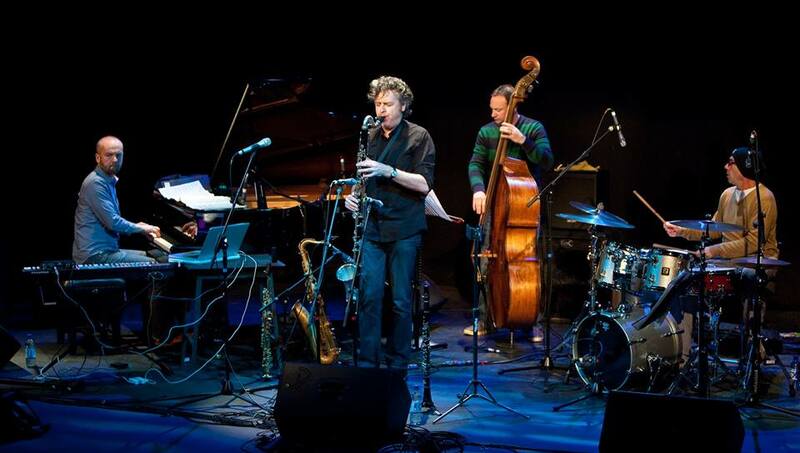 “It’s a shared experience”, explains Siegel who, over the years, has established himself as one of Britain's especially eloquent performers through his work with this quartet, his trio with Joey Baron and Greg Cohen, the Julian Siegel Jazz Orchestra (formed in 2017), and with Partisans, co-led with guitarist Phil Robson. “After playing together as a band for such a long time, you really start to get into something. When I give a new piece to Liam, he comes back with twenty times what I could imagine – he’s so free, with an amazing sense of daring, plus a really original harmonic approach. Gene has a fantastic feel and perception of time – there’s always a challenge in there that I really love; so much forward motion. And with Oli, it really swings”. 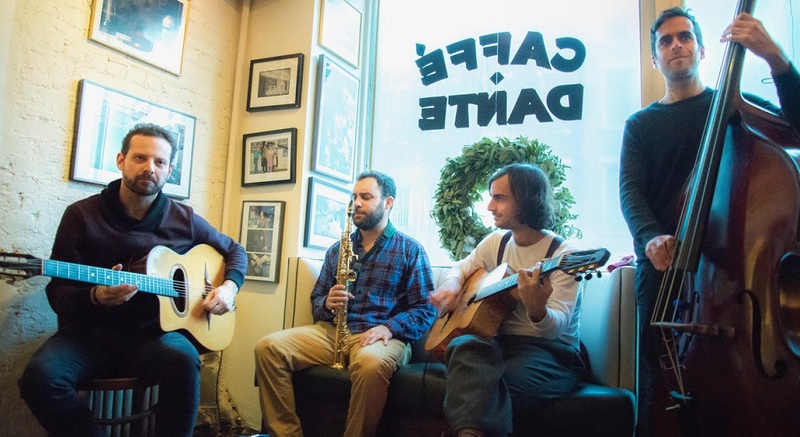 Delighting at the idea of getting back into the studio together again, the saxophonist and the quartet decided to record this as a purely acoustic set for the new album. “It’s a great opportunity, writing for this band, because you know they’re going to make it sound good!” Talking more about the writing of the music for Vista, Siegel says, “Leading up to the session, I tried to write every day, capturing ideas however/wherever they arrived, then seeing what stuck enough to make it through to first rehearsal. Each piece has a different genesis. For me, as a jazz writer, it’s the thing of: how much do you write, where do you stop? Most of the music we make on this album is improvised, so the pieces are just starting points. 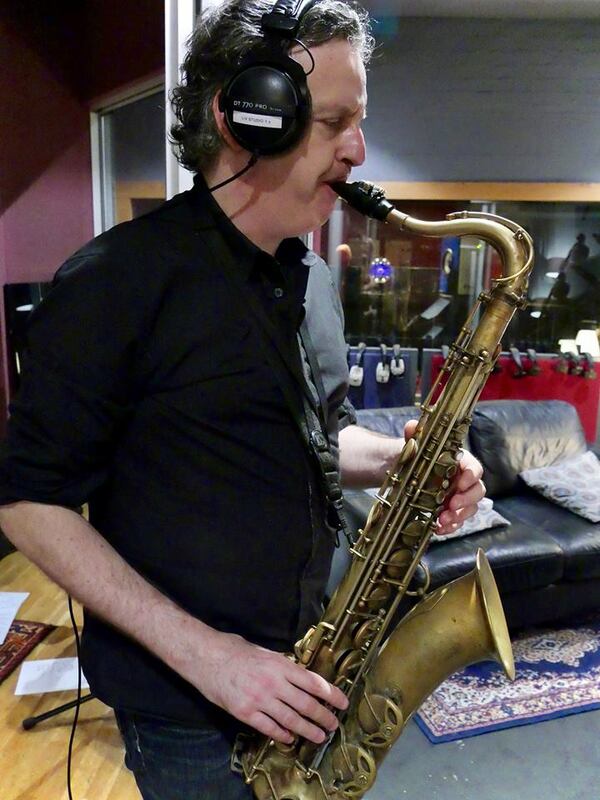 I like to find things that are a spark, to make something happen or to just allow a space to set something in motion; many things occurred for the very first time when we recorded the session – it was hugely exciting to catch it fresh”. As leader, Siegel’s fluid, seamless assurance on either tenor or soprano is a joy, ‘The Opener’ encapsulating both the lyrical and snappier aspects of his character. 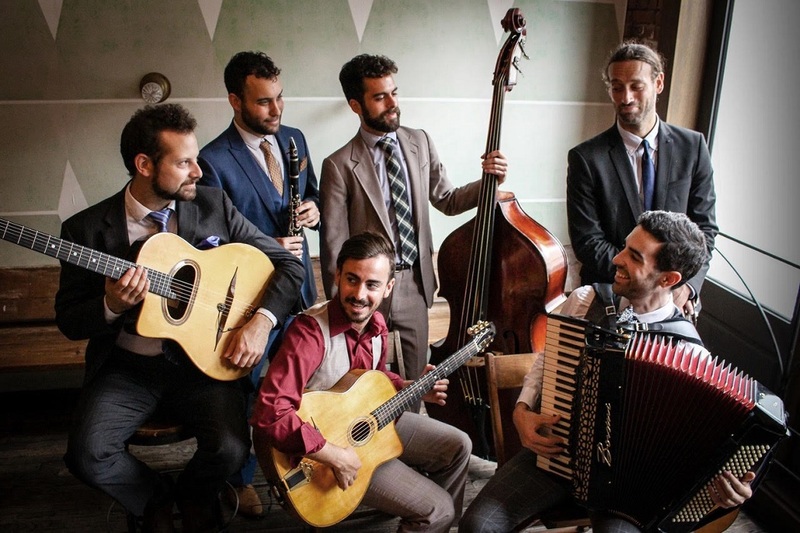 ‘I Want To Go To Brazil’ arrived in his thoughts one morning and, in homage to Brazilian greats such as Hermeto Pascoal and Elis Regina, its gentle aubade awakens with South American zest. The luscious low-tenor resonances of ballad ‘Song’ leads to ‘Pastorale’, whose chirpy soprano/piano figure and expressive melody set up an open space for the quartet to explore. The four break free with stomping, blues-honking ‘The Goose’ (Siegel's name for the bass clarinet, the instrument actually then taken up by him in evasive then chivvying ‘Idea’ which follows). Bud Powell’s ‘Un Poco Loco’ is dazzlingly reimagined, pursued breathlessly by chordless trio number ‘Billion Years’; and wide-scoping title track ‘Vista’ leaps rockily to Noble’s inquiring, ascending/descending motif and Siegel’s deliciously melodic tenor. 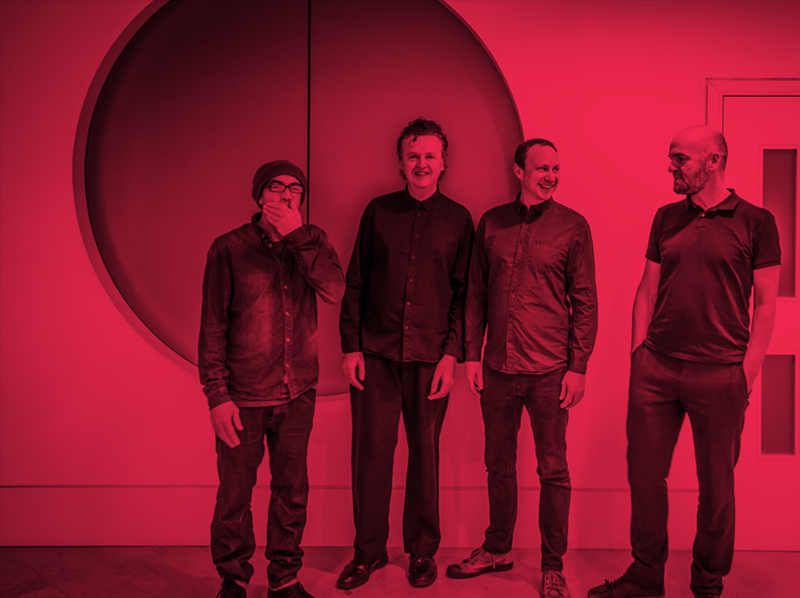 Siegel ruminates on how a band can develop over time: “Listening to some of my favourite albums throughout the history of the music, I’m struck by how many of them were made by ‘bands’ – a particular combination of people touring and playing together for years. There’s something special about that”. Experiencing Vista, it’s a concept that is already becoming a reality for this cohesive and conversational quartet.